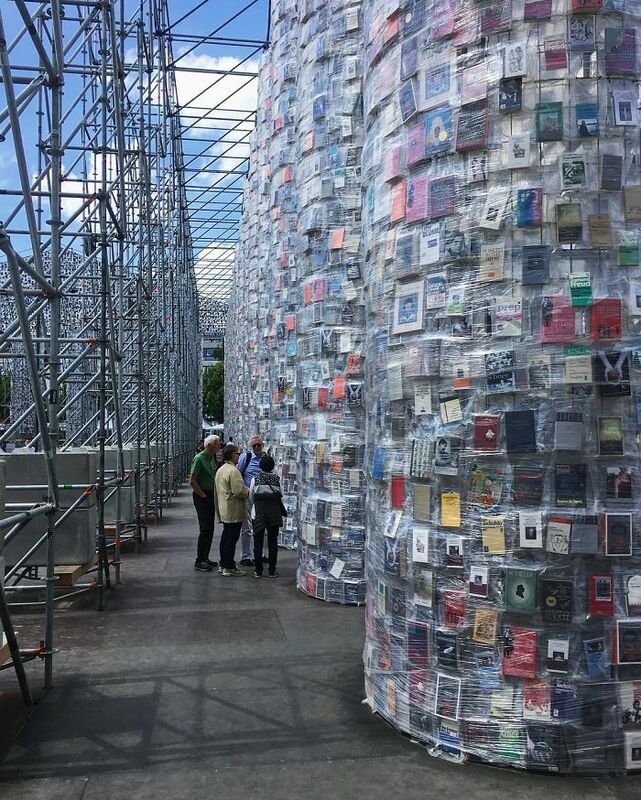 Marta Minujín is a 74 year old artist and she has just created a replica of the Greek Parthenon from 100,000 copies of banned books. 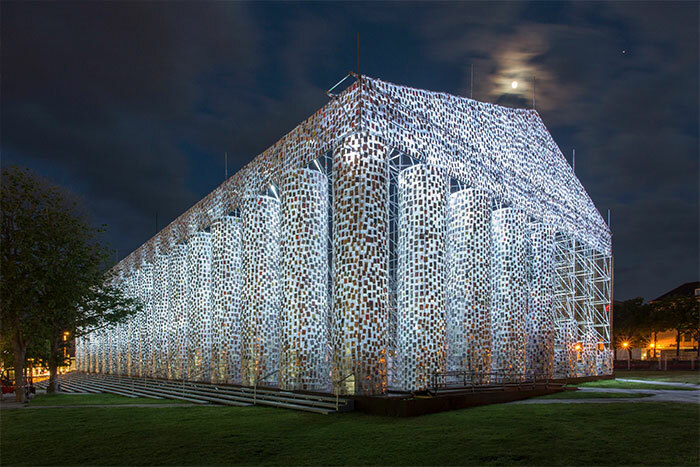 It was built in Kassel, Germany where Nazis famously held a book burning party in 1933. “Democracy without books is not democracy,” says Minijín in a statement. 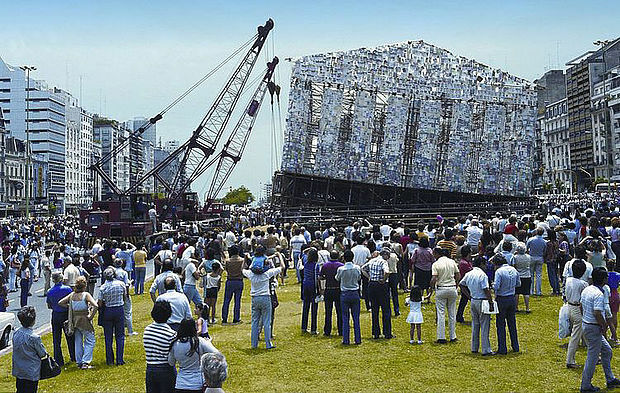 The artist built a similar structure in 1983 when Argentina’s dictatorship fell, and at the end of the installation period, they tipped the structure over so people could get the books. A similar fate is planned for this structure.